So for farmers of a certain generation, cover crops represented a big change in thinking. My Dad was part of that “clean floor” generation, so I was really surprised that he was among the first in our area to plant a cover crop on the orchard floor. I expected that we’d get a reaction, and we did. Curiosity. Other farmers wanted to know what we were up to. For those not familiar with them, a cover crop is a planting meant to protect or enrich the soil for the benefit of the primary crop. It might be planted between seasons for an annual crop such as corn or strawberries, or concurrently with perennial crops such as vineyards or orchards. We tell the third-graders who attend SEEAG’s Farm Lab program at Petty Ranch that “crops” are what we grow for people, and “cover crops” are what we grow for the soil. We are now in our thirteenth season using cover crops. Our soil structure has improved (which is hard to quantify) and our water use is down (which is easy to measure.) When we started, we were mostly concerned with preventing erosion and breaking up a hard clay pan in one part of our orchard. We weren’t directly concerned with capturing carbon or building the organic content of our soil, but that was a direct result of a cover crop program. Our soil organic matter, which now ranges from 5 to 5.5% or more, is roughly twice what it was before. Another benefit is improved water infiltration and retention, since our 50 acres can now absorb an additional 2.6 million gallons. For the last few years, that water holding capacity helped our trees endure the drought. This year it helped prevent flooding. Lately, cover crops have been discovered by the general public. What seemed like an obscure practice not that long ago has been earning mentions in the New York Times, NPR and best-selling books. The public wants to know more about them, and better still wants to know how to encourage their adoption. I couldn’t be happier about that, but I have a few thoughts on the matter. Todd Hannigan (l) and Chris Sayer survey an orchard at Petty Ranch. It seems the natural rallying cry for any farm policy is often “Subsidies!” Subsidies were the dominant tool for 20th century agricultural policy makers, and I feel they have a decidedly mixed track record. But if society is willing to pay their price, they can effect change in their targeted behaviors. Given the public interest in carbon sequestration, policy makers are considering ways to steer “Carbon Taxes” toward farmers in the form of subsidies. Personally, I have misgivings about this approach. I’m not sure that we could really afford to “buy” all the carbon that we are going to want to sequester over the next few decades. The sheer number of different crops, soils, and microclimates in California alone, makes crafting a policy to meet all needs daunting, if not impossible. Fortunately, I think we have a better way. Cover crops, and associated soil conservation practices, can provide their own value. They pay for themselves. We’re curious creatures, farmers, and we want to know what our neighbors are up to. To encourage greater adoption of cover crops, let’s start with the obvious. It isn’t necessarily easier. Cover crops represent embracing an ecosystem in all its complexity. Biological systems are complicated and sometimes unpredictable, and the link between today’s inputs and tomorrow’s results aren’t always going to be clear cut. So why am I confident that we will successfully adopt these new techniques? In the last century, we sought to reduce to the complexity of biological systems to a simple algebra of inputs and outputs. We couldn’t model complex systems, so we simplified. Today the analytical tools exist for us to measure, evaluate and understand much more nuanced relationships. UAVs [drones], in-ground sensors and better data management mean we can work with the reality of our soil, not just an approximation. We see more than ever. Credit: Chris Sayer. Sugar beets and sunflowers. And we can share more than ever. Communication to and among farmers has never been easier, even when we are geographically dispersed. I still learn a lot from discussions over a pickup bed or at the coffee shop. But I’m also learning from farmers on the other side of the state, the other side of the country and the other side of the world. Commodity groups, land-grant universities and their Extension systems are our great allies in this task. They can do the targeted research that can make cover crop recommendations in location and crop specific ways. I believe some of the current cover crop incentive programs are too rigid to be broadly applicable. Petty Ranch grows cover crops near fig trees to boost soil fertility and attract pollinators. I’m still tending many of the same trees that my Dad planted back in the “clean floor” days. These trees have seen some big changes in the practices that support them. Today, cover crops are no longer unusual. On a short drive the other day, I passed a rye grass blend in rotation with vegetable crops, mustards and radishes restoring nursery ground that will be returning to row crops, and barley planted among young avocado trees. The trees I plant this year will likely be with us for more than 30 years. Imagine the changes that these seedlings will see. Editor’s Note: For additional information about agricultural literacy and SEEAG, read this piece. Learn more about Chris Sayer’s work at Petty Ranch in this UC Food Observer interview with him. 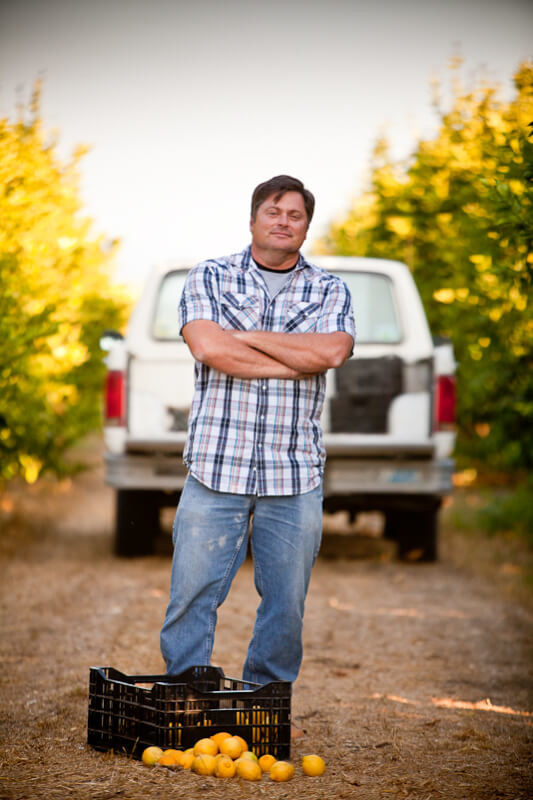 Discover about Chris’ life as a farmer through his own words. Learn more about conservation agriculture in this interview with the University of California’s Jeff Mitchell.